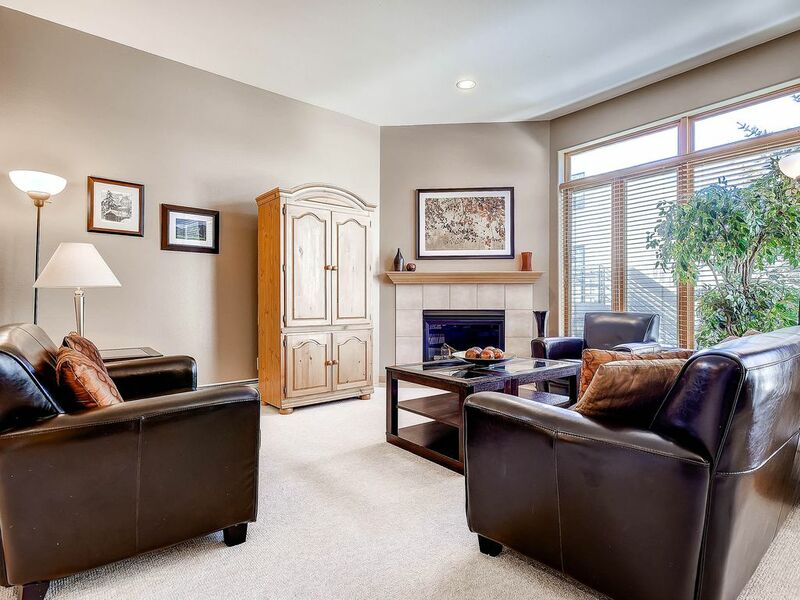 Come enjoy the world's premier winter resort in this luxury condominium in Vail! Our contemporary three bedroom unit has an open, light, and comfortable layout which includes 9 foot ceilings and floor-to-ceiling windows offering plenty of sunshine pouring in to warm your day. This unit includes the convenience of a private, full bath in each bedroom. There are flat screen TV’s throughout with access to Netflix, Amazon Prime, and Hulu. It’s great location is on the FREE Vail shuttle route (5 minute bus ride to the Village) and is a less than a 20 minute walk to Lionshead. We also have several items to accommodate young children. They include: play-n-pack, a permanent baby gate, high chair, baby monitor, sleds, baby & toddler toys, games & puzzles, toddler bed rails, kid’s dish-ware, and a bottle cleaning tools. We purchased our Vail condo in 1999 and have enjoyed sharing the experience with our guests since day one. Vail holds many memories for our family and we try to find time to enjoy the beauty of the mountains as often as we can. When I was young my parents owned a condo in Vail and I learned to ski in Vail. I now share a similar experience with my family. Vail offers some of the best skiing in Colorado and consistently ranks as one of the top ski resorts in North America. Although best know for it's skiing, Vail also offers a wide range of summer activities. Our family enjoys the summers in Vail just as much as we do the winters. All bedrooms have their own, private bathrooms, each with a hairdryer. Heated one-car garage with ski storage. Expresso & coffee maker both available with a bean grinder. Spices, sugar, coffee creamer, tea, cooking spray, paper and cleaning supplies. Stainless steel pots & pans, blender, crock pot, food processor, expresso machine, casserole dishes, roasting & cookie sheet pan, and many other cooking gadgets & utensils. High chair available as well. Flat screen in living room; additional TVs in the master bedroom, bunk bedroom, and kitchen. Includes a connector for playing your smart phone/MP3 player. Small selection of toys for infants and toddlers. Private bath for each room, nine-foot ceilings, Hulu and Amazon Prime Videos and printer/fax/scanner/copier. While we allow up to 7 guests we do not recommend our condo for 7 adults. The bunk bed is intended for children only, At least one guest must be 25 years or older. Great 3 bedroom 3 1/2 bath townhouse. Only a five minute drive to Lionshead parking structure. Probably one of the cleanest units that I have rented which I really appreciate. This is a renters unit comes fully equipped and everything labeled. Everything was excellent. Unit was very comfortable. Property was perfect for our needs. It would be my first choice if we go back to Vail. This was a lovely 3 br, 4 bath, unit on the free bus line to Vail. Good layout, well equipped, owners easy to work with, and high quality. I'd definitely recommend staying here. This condo was the perfect place for 5 of us to stay for a wedding weekend. Great layout, very comfortable, even better in person than in pictures. Awesome location, highly recommend! Was very well prepared for us. And when needed to contact management, they were available, friendly and welcoming for our weekend for the fall. Very quiet, great views from the balcony, and would have liked to have cooked there, but wanted to experience the food in Vail, within 5 minutes.